Discussion in 'UFC Discussion' started by SquamtaOrthoptera2, Apr 2, 2019. If we compare their performances against Conor. Although Conor brutally outclassed Holloway and put a beating on him, Holloway managed to stay in it. Poirier by contrast was beaten badly and was stopped early. Both are Conors leftovers, but one wasn't completely mangled up at the end of the fight. UFCBlackbelt, SovereignPhantom, Mr.Maelstrom and 3 others like this. based on that reasoning, al iaquinta would beat conor, since khabib had a tougher time with al than he did with conor. Fergelmince, MigitAs, myjohnson9 and 6 others like this. Holloway will win because he’s better. Last Falconry, Mr.Maelstrom and Arkham's Notorious Geyser like this. People don't give Conor credit, he dosen't just give fighters a raise when he fights, he literally keeps them relevant for years. Holloway and Poirier are still relevant because they fought Conor and lost years ago. That is the conor magic. So Brimage is better than Aldo? Odoylerules4lyf, Mr.Maelstrom and Flex Plexico like this. Mr.Maelstrom, Arm Barbarian and Beans & Cornbread like this. I agree, Holloway smokes Dustin, Dustin has to make it an uphill battle in order to have a better chance. Do all conor fans have an IQ below 100? legcramp, FlowchartRog and Arm Barbarian like this. Holloway and Poirier are still relevant because they've been winning fights impressively, unlike your hero. I guess Raquel Pennington would beat Cyborg too, since she lasted much longer against Nunes than Cyborg did. MMA Math doesn't work. There's too many variables as to why any fight turns out the way it does. I have a feeling Poirier is beating Holloway. I honestly wonder what type of human makes and posts on these weird conor gimmick accounts. FlowchartRog and Arm Barbarian like this. 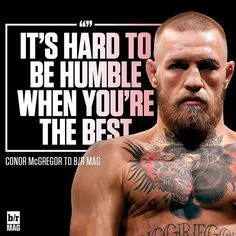 Conor is a special type of fighter, he will be back, threads about him will come daily.